This Site and all the information it contains, or may in the future contain, including, but not limited to, articles, memoranda, bulletins, reports, press releases, opinions, text, directories, guides, photographs, illustrations, trademarks, trade names, service marks and logos (collectively, the “Content”), are the property of Gordon Law Group, LLP (the “Firm”), its partners, members, and employees. 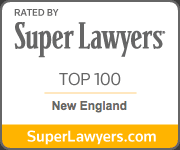 Gordon Law Group LLP is a Massachusetts limited liability partnership. Gordon Law Group, LLP has its principal law offices at: 585 Boylston St., Boston, MA 02116, 617-536-1800. This material is for general informational purposes only and does not represent our advice as to any particular set of facts; nor does it represent any undertaking to keep recipients advised of all legal developments. Except for the Lawyers section of the site, photographs within are not of clients or firm personnel.